Allium is one of the most underrated 4-star city hotels on the island. 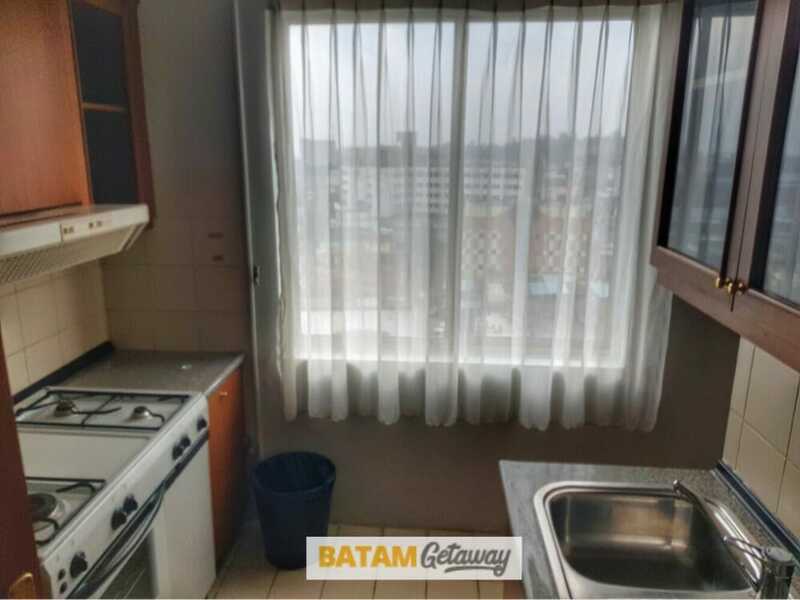 Besides being a hotel that’s open for tourists, it actually provides an alternative accommodation in the form of a 2 / 3-bedroom apartments. 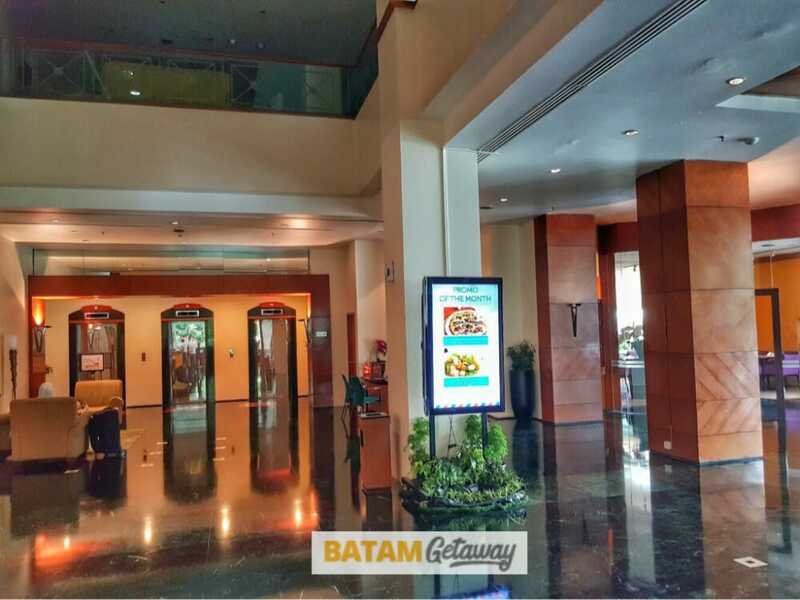 While the apartments can yet be rented out through other sales platforms besides the hotel’s direct booking, we will still cover all offerings in this Batam Allium Hotel blog review. Allium is comfortably sandwiched between the main Nagoya Hill shopping area and Harbour Bay ferry terminal. 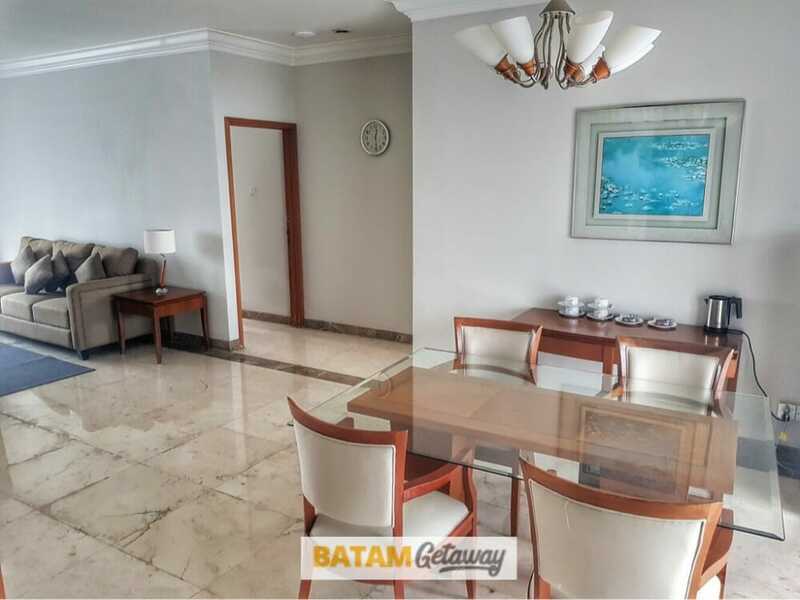 In addition, there is a good range of service establishments in close proximity; from food (McDonald’s is 250m away), to shopping (Avava mall is 500m away while Pasar Jodoh is 1-min walk away), and massage (Go Massage is right beside the hotel). Allium Hotel’s building can be seen from quite a distance away, especially if you around the Harbour Bay area. The façade looks clean and with its overall minimalistic design, looking fresh is definitely their main priority. One thing that we really like about this hotel’s service right from the moment we enter the lobby is the front desk manager’s consistent and magnetic smile to all arriving guests. 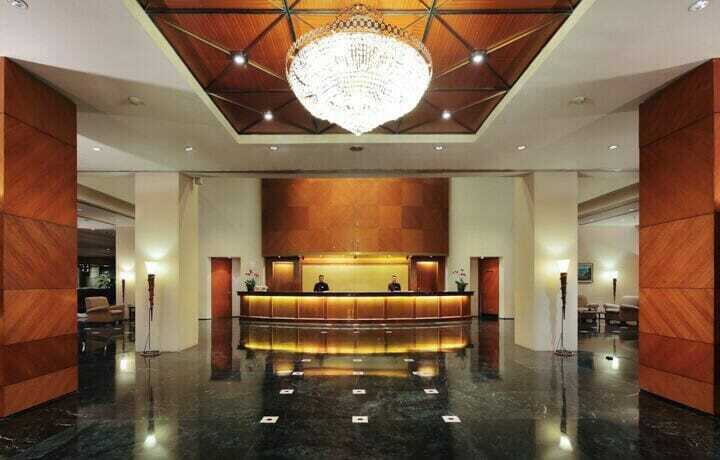 The classic looking lobby is dotted with black marble flooring & wooden structural pillars. 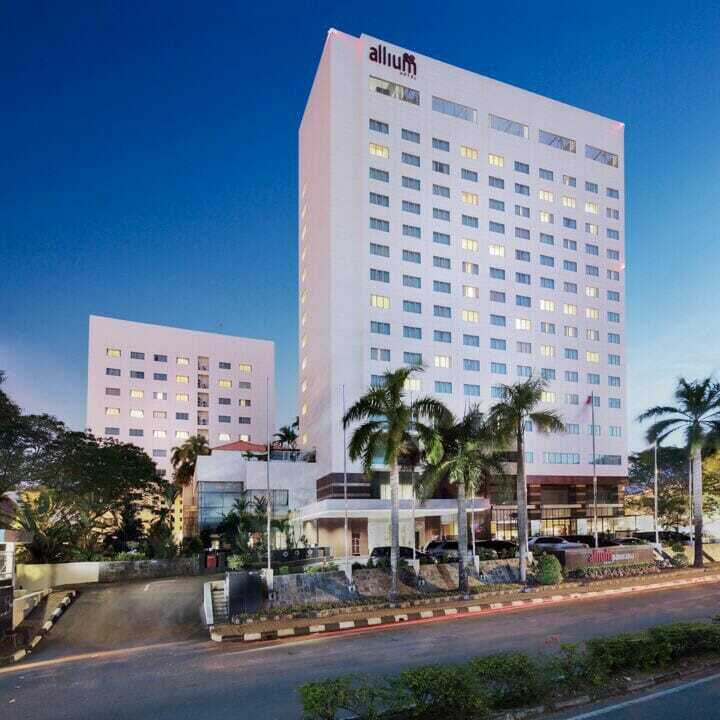 Batam Allium Hotel has 211 guestrooms and suites which range from 30 to 210 sqm with free WiFi throughout. 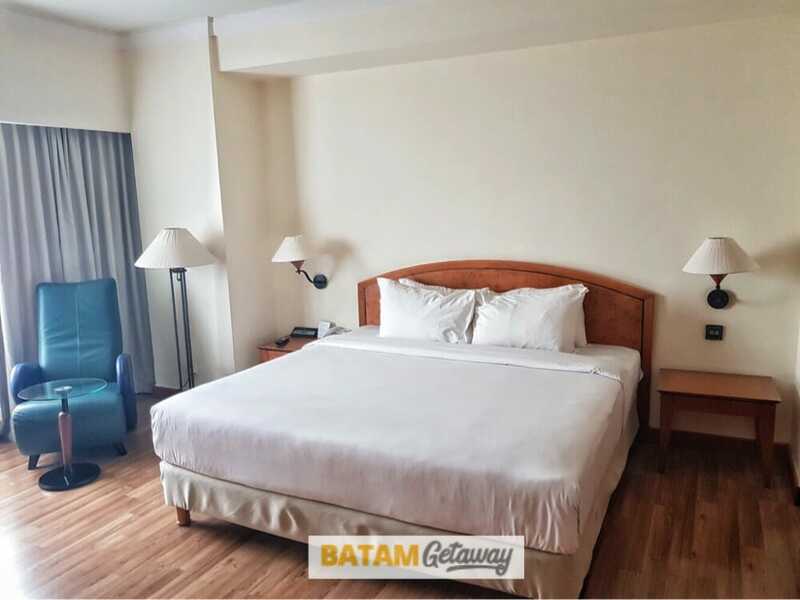 Their room types consist of Deluxe, Executive, Executive Deluxe, Allium Suite, Samali Suite, One Bedroom Apartment, Two-Bedroom Apartment, and Three-Bedroom Apartment. 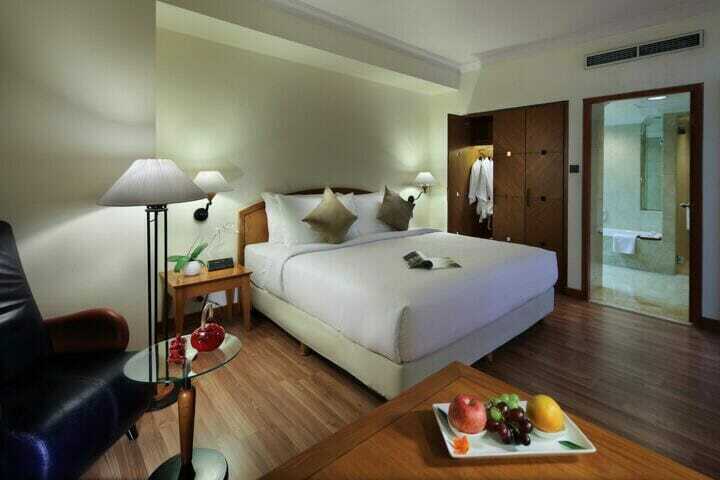 Rooms are very spacious & comfy with warm colours throughout. The newly-refurbished rooms are 30 sqm wide and feature a king-sized bed or twin beds with quality bed linens. 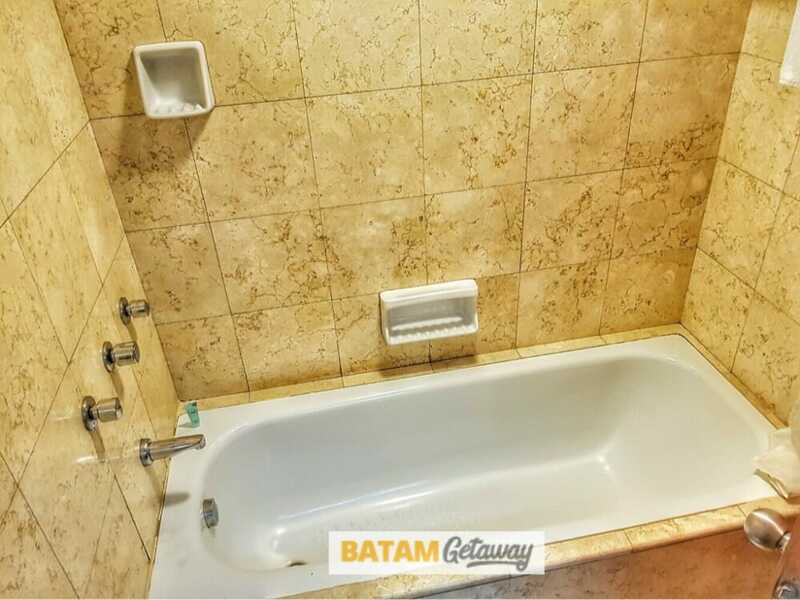 Each room is equipped with writing table and marbled bathroom complete with bathtub and shower. 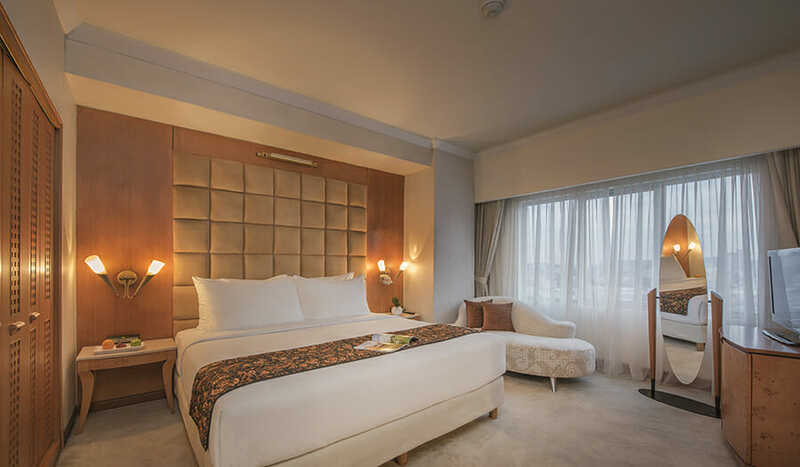 Deluxe room offers view to the lively Nagoya Street. 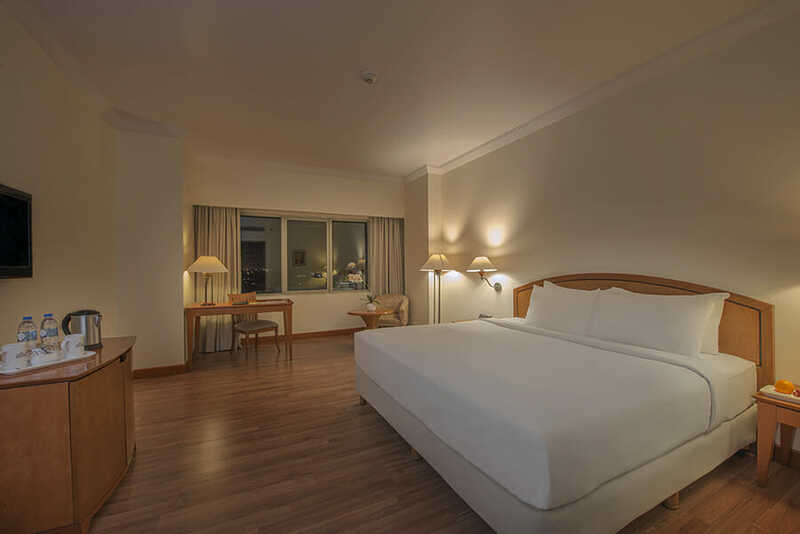 The Executive deluxe room is 60 sqm, which is double the size of the Deluxe Room. The double queen bed type is suggested for small-family stays. 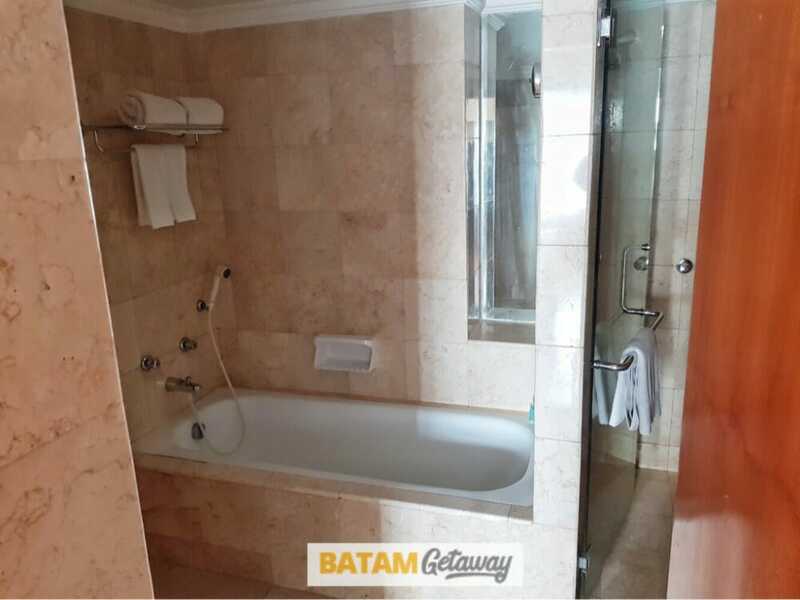 The king-size bedrooms come with a separate living room, and marbled bathroom with bathtub and shower. The room offers view to the lively Nagoya Street and is located on the 3rd and 7th to the16th floors. Their apartment room types are located at a different block from their main complex. Here, there is a private drop off/pick up area and lobby access. Apartment style rooms are huge, comes with a living room, dining area, kitchen, laundry room, toilets and 2 bedrooms. Rooms were slightly dated and would require touch up to freshen up the overall outlook of the room. Hotel does not have a dedicated spa & massage centre, however there is a decent local spa & massage centre located near the hotel. Go! Massage is a mere 2 min-walk from hotel. 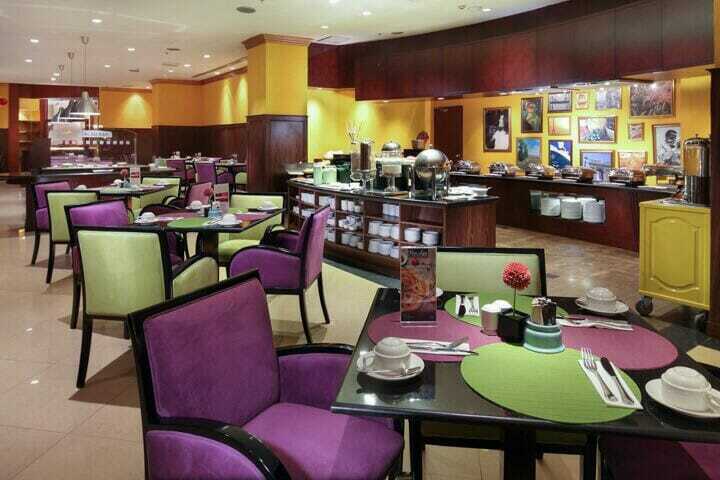 Located in the premises of Allium Batam is Paris-Lyon Café. 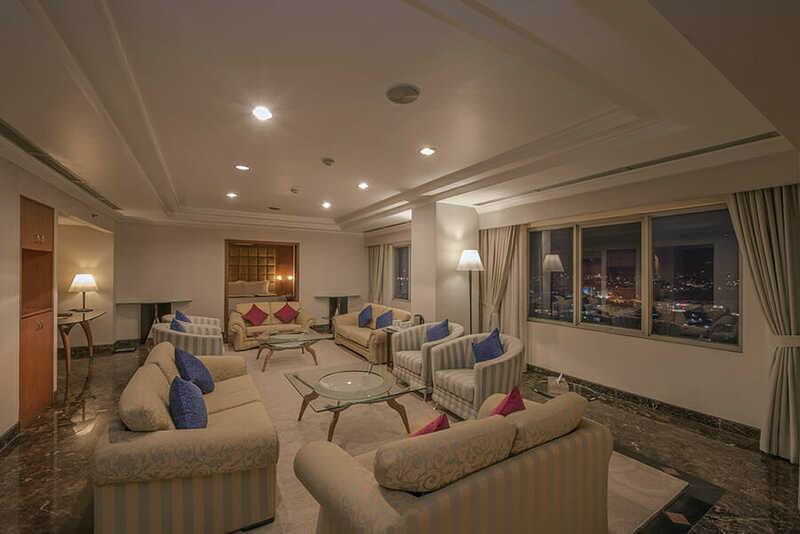 Guests may linger to enjoy and relax while listening to light music in a comfy ambience. Satisfy your tummy with a bite of the Café’s signature Italian pizza! The Café serves Indonesian, Eastern and Western foods. 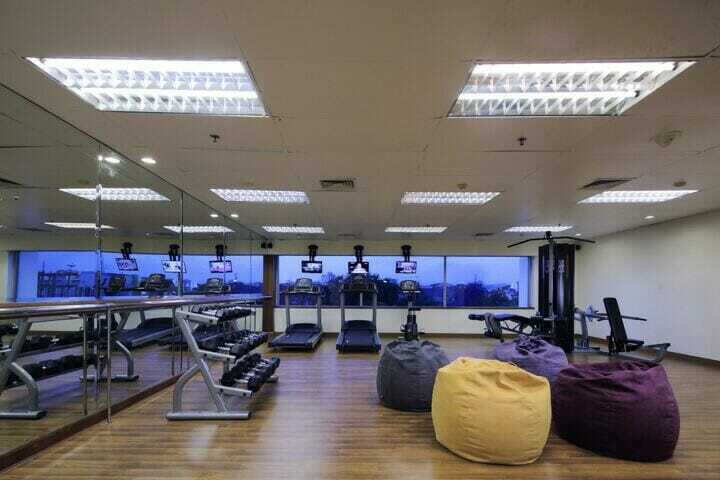 Allium Hotel does provide a wide range of amenities for businesses. They cater to all types of meetings; small groups of 35 in Jasmine room to 280 in Cristal Ballroom. 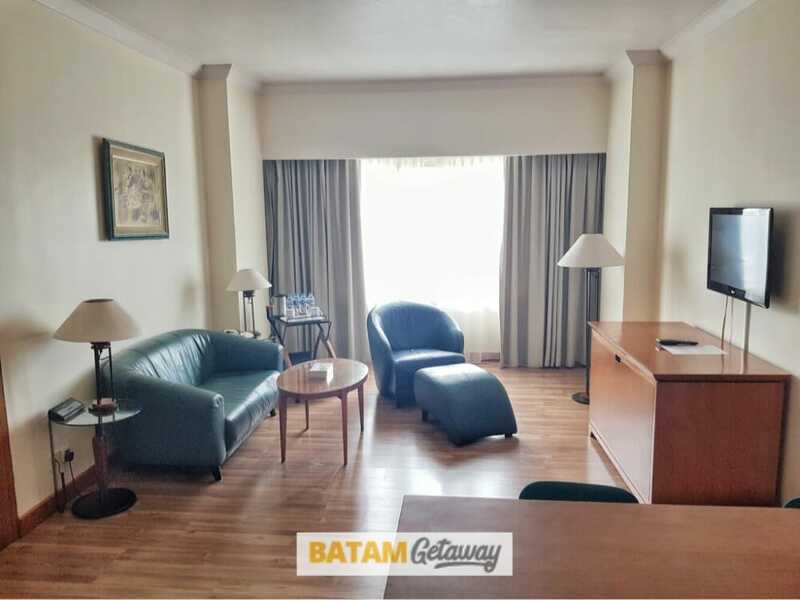 Aside from facilities for MICE, Allium Hotel do have other amenities as well which is expected from a 4 stars hotel; swimming pool and gymnasium. 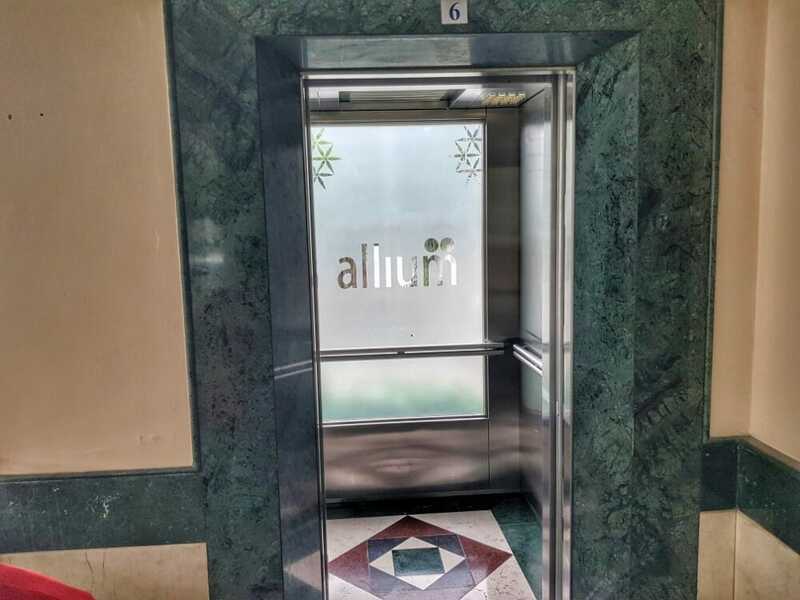 With such a good location and having plenty of convenience (shop, eat, massage) nearby, all your needs will be easily met if you stay in Allium! 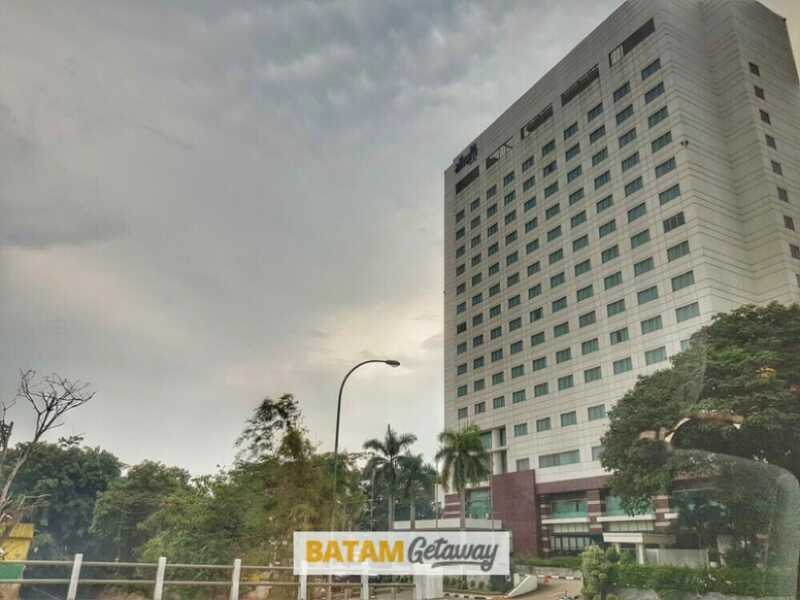 With regards to their pricing, they are one of the most affordable 4-star hotels in Batam. Staying in this wonderfully ‘underrated’ hotel, you will be under-paying for their over-the-top quality and services. 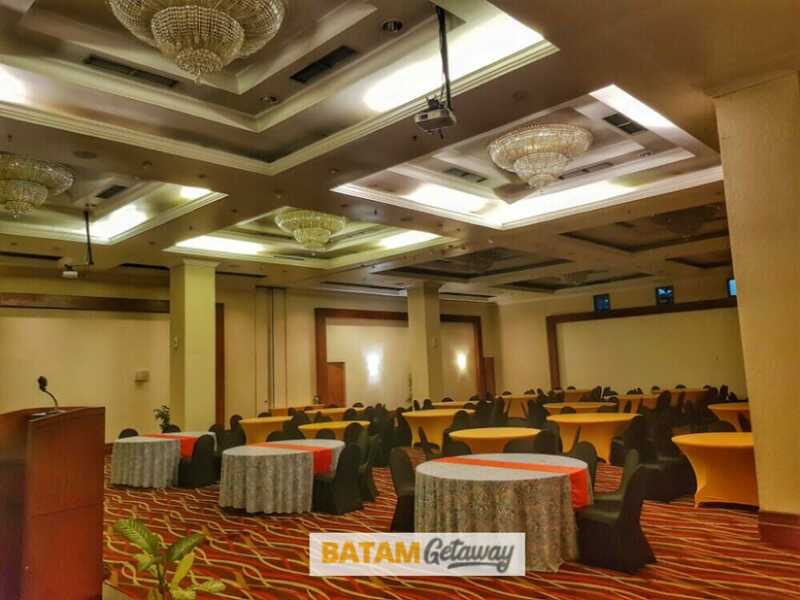 Through our website, you can check the availability, price, and book Allium Hotel Batam Package with Ferry (Optional City Tour + Seafood Lunch + Massage).